With the Common Core State Standards emphasizing listening and speaking across the curriculum, these long-neglected language arts are regaining a place in schools. For teachers, this means reexamining practices and rethinking expectations. How much do we know about teaching listening and speaking as the complex communication skills they are? How do we teach students to discuss appropriately, integrate and understand the mountains of information they receive, and express themselves clearly and effectively? 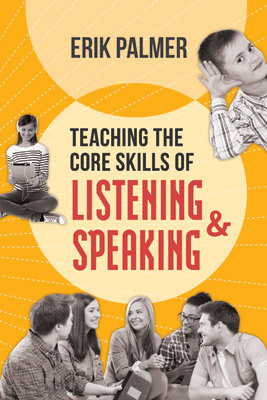 In this lively and practical book, 20-year teaching veteran Erik Palmer presents an approach aligned to the six Common Core anchor standards for speaking and listening but focused on preparing students for 21st century communication inside and beyond the classroom. With due respect to reading and writing, we do most of our communicating—in the classroom and in life—through listening and speaking. Filled with examples and specific activities targeted to variety of subjects and grade levels, this book is an essential resource for all teachers interested in helping students acquire core skills that cross the content areas and support long-term success. 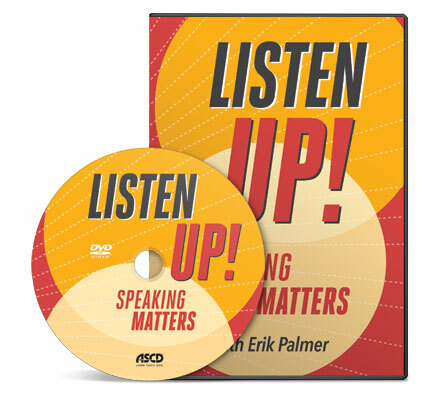 "Palmer, a long-time advocate of improving oral communication skills in our students, not only does a great job of making clear why we need to change the way we teach our students to communicate but also lays out a clear design for how to make it happen in a purposeful way in any classroom." ERIK PALMER is a professional speaker and educational consultant from Denver, Colorado, whose passion for speaking has been part of every one of his careers. He spent 21 years in the classroom in the Cherry Creek School District in Englewood, Colo., primarily as an English teacher but also as a teacher of math, science, and civics. Erik is the author of Well-Spoken: Teaching Speaking to All Students and Digitally Speaking: How to Improve Student Presentations with Technology and a program consultant for Houghton Mifflin Harcourt's English Language Arts program, Collections.